The Kidkraft Seaside Table & Chair Set brightens the room with enchanting colors and a great place for little kids to sit and work or play. The Seaside Table has a natural finish complemented with chairs in Lavender, Baby Blue, Pink and Light Sage Green. There is spacious room for four kids to sit around the table and put together one big puzzle, have games with dolls or cars and trucks, draw, paint ... so many options! 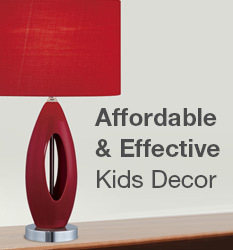 This set is perfect for a child's room or the family room.